Not being a glasses wearer (other than my favourite pair of sunnies), I’ve never really had to think much about putting on contact lenses. Frankly, the thought of having to stick something into my eyes and possibly poking it out in the process scared the bejesus out of me. Yet I’ve been fascinated by the craze of circle lenses which have been made popular by the characters of Japanese comics and worn by many models and celebrities in East-Asian countries. Lady Gaga popping on a pair in the MV of Bad Romance just capitulated them to the stratosphere in the western market. These coloured cosmetic contact lens have a ring around the outer edge of them (hence their names) which enlarges the iris of the wearer and gives them doll-like peepers. So after watching one too many youtube videos featuring wearers of these alluring lenses, and late night browsing on online stores (evil! ), I decided to cast away my fears of poking my eyes out and ordered some lenses to try. Hey, this is all in the name of beauty research ok? Given, these are my first pairs and I was planning to wear them at a wedding, I decided to go for a natural looking pair of lenses. The lovely and seasoned circle lens wearer HeartOfPearl suggested I go with the Dueba DM23 Brown lens for a natural look and I decided to add the Hana 30 Days Sharon Grey for something fun to try. These are soft lenses with a 14.00mm diameter and are speckled on the outer edges of brown and black and towards the outer edge there are fine swirling. These come in glass jars with aluminium seals that you need to break before you can take the lens out from the saline solution. I used a promotional code when ordering at Pinky Paradise that gave me free cute animal shaped lenses to store these lenses in (for a newbie like me, I had no idea that every time you buy contact lens solution, they usually include a lens case in the box until I picked up a box from the local chemist later on). I didn’t rinse them with contact solution from the saline solution because it's already sterile and had no trouble wearing them straight away but I did watch some videos suggesting that they should be soaked in contact solution for 24 hours before first wear. Whatever – I wasn’t going to wait that long but I’ll heed the advice of an optometrist next time if they tell me to do that. On the eyes, these are very natural and indoors in low light, you wouldn’t notice that I had contacts on. They were moderately enlarging but still very natural looking as it still complemented my natural eye colours. The brown specks on the lens are lighter in colour and appear as mini sparks of light in my eye under bright lighting. 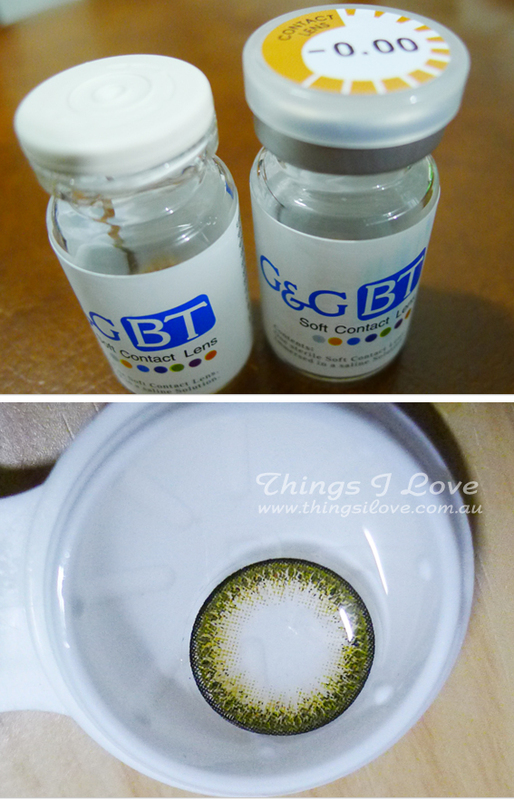 These are also a soft lens have a diameter of 14.2mm and come in blister bubble pack of saline solution. 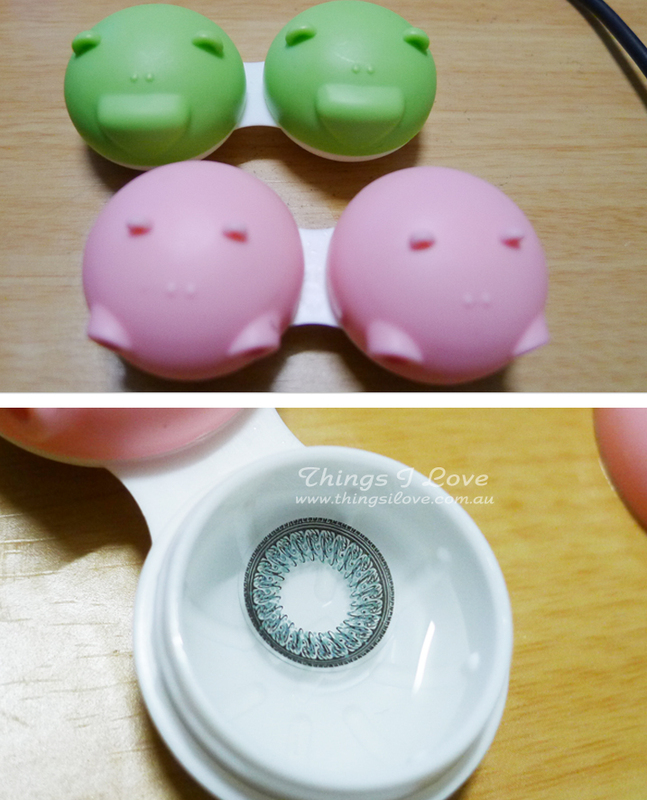 I also took these out of the pack and put them into contact lens storage case. They look more bluish tint than grey in the case and when worn than the stock photos which was a surprise to me, but I still quite like the look. There are long fine swirly patterns of black and bluish grey but that sort of just blends into my brown eyes and looks very pretty and very dolly-like. 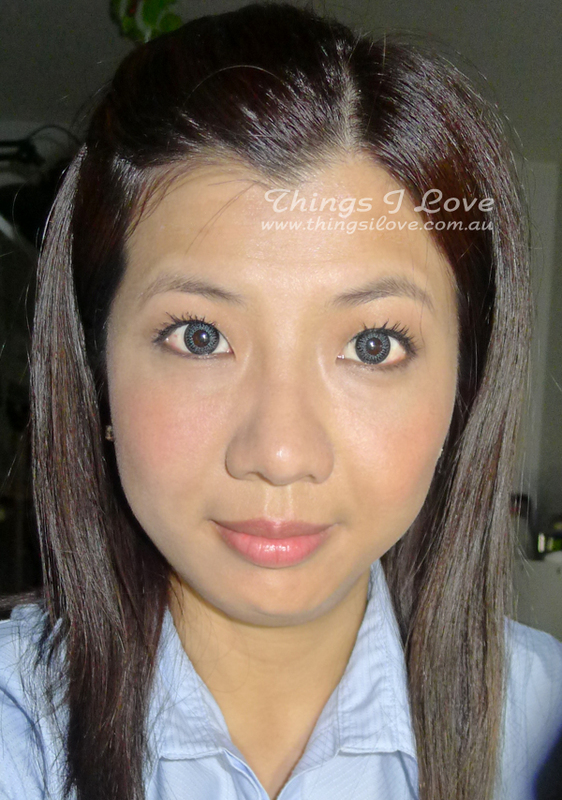 Quick LOTD after work with Hana 30 day Grey lenses (I didn't wear them to work)! Being soft contact lens, they were surprisingly comfortable on my eyes. I’ve never worn any contacts before so have nothing to compare with but naked eyes, and although at times it can feel a bit like you got a bit of grit stuck in the eyes, for most parts, I forgot I had them on. If they started to get uncomfortable, I just blink my eyes several times and the lens seem to fall back into place, and the tears seem to rehydrate my eyes again so it's comfortable once more. These are suggested to be worn for no more than 8 hours at a time but I’ve gone for about 12 hours with them on. My eyes did begin to tire out but it was still relatively comfortable. As for the poking the eye out bit, well I was surprised I managed to stick these in. My first try took 20 minutes to put on for each eye cos the lens wouldn’t go in and kept falling off my index finger. I found watching many youtube video helped but the most important thing is to start with clean hands to avoid infection and to look straight ahead when putting these on, which I struggled with initially. This video from Brenda at AngelContacts was the most helpful to me in learning how to put on contacts. Taking them off was much easier and this video from AkunoTensai showing the squeezing technique along the upper and lower lashline worked best for me. These circle lenses were purchased from Pinky Paradise. My order was shipped from Malaysia and arrived within 2 weeks. It also came with the free animal lens cases and a pair hair velcro for keeping loose hair in place (really handy during makeup application and removal) - not too shabby customer service from these folks really. My next order will include some more dramatic designs and different colour lenses. Wearing circle lenses can take your eye makeup to the next level by enlarging your eyes and achieve doe-like eyes. I find it a lot of trouble to wear regularly but for special occasions or parties, it’s definitely worth the effort. Have you ever worn coloured contacts? which lenses do you recommend I try next? I saw those circle lenses in chadstone the other day and asked the giel if you could buy it with a prescription and was suprised when she said you could and that you don't even need to show the script! Ehh? Since I already wear contacts, i'll probably try them one day. The brown ones look nice on you! Thanks Rin. There are contacts with power so that you can still see with them on :) I don't think it's as good as the prescriptive ones thought. Also, I'm told that those with astigmatism can't can't wear these. Aw shiz - I should be the one thanking you to putting me in the right path with such a good pair of lenses as my first circle lenses.